An excellent Bank Holiday on the showing front for Sherrygold. 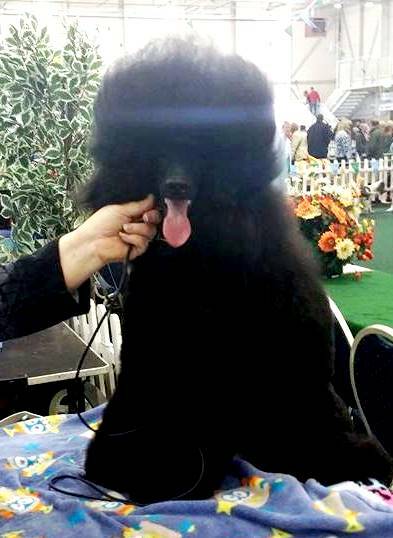 In Ireland our new boy Siggy ~ Sherrygold Destiny’s Fire won Green Star Dog & BOB at both South Tipperary All Breed Ch Show yesterday & Fermoy All Breed International Ch Show today. 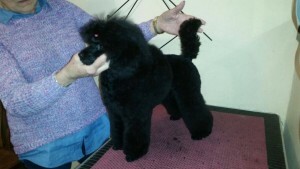 At Eastern Counties Poodle Club Open Show in Cambridgeshire Sam ~ Sherrygold Devil’s Gift to Hotspur owned by Pat & Frank Groves won BPD, BPIB, RBD & RBPIS at his first ever show at only 6 months of age. Congratulations & many thanks to all concerned especially to Barbara Henry, Sarah Blount & Sally Burns for their excellent care of Siggy in Ireland for us.